Granville Tower was installed as part of the elevation of the North Side Main Line from Lawrence to Howard, which was completed in 1922. The tower, located between Tracks 2 and 3 north of Granville station, controlled a right-hand crossover from Track 2 (local) to Track 1 (express) and a left-hand crossover from Track 4 (express) to Track 3 (local). This interlocking was commonly used to switch Loyola Express and, in the CTA era Evanston Express trains, which stopped at Loyola for many years, between the local and express tracks. A right-hand crossover was also located between Tracks 2 and 3, but these were a hand-throw switches that were not controlled by Granville Tower. On November 24, 1936, one of the "L"'s worst accidents occurred at Granville Interlocking when, contrary to normal practice, the Granville towerman held a northbound Loyola Express on Track 4 that normally was switched onto Track 3 in front of a scheduled local. Letting the local instead proceed on Track 3, a speeding North Shore Line train (which expected the Loyola Express to have switched tracks, as usual) slammed into the rear of the standing "L" express train. Nine "L" passengers died immediately in the accident; a tenth passed away the following day from injuries sustained. Many were taken to area hospitals, 36 with serious injuries. Amid a broader reconstruction of the four North Side Main Line tracks from Lawrence to Howard, Granville Interlocking was altered in the mid-1970s. 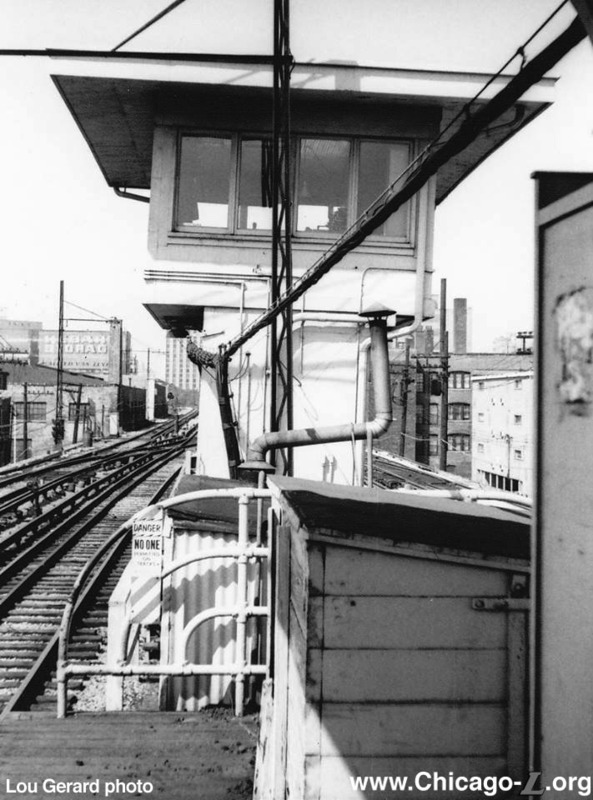 On December 23, 1974, a new automatic interlocking was placed in service at Granville for Tracks 3 and 4 only. On February 10, 1975, the automatic interlocking was placed in service for Tracks 1 and 2 as well. A local control panel in a wayside relay house controlled the new interlocking and was staffed when Evanston Express trains needed to be sorted. This allowed the old Granville tower to be closed effective February 10, 1975. By early 1976, a diamond hand-throw crossover between Tracks 2 and 3 replaced the old right-hand crossover there. 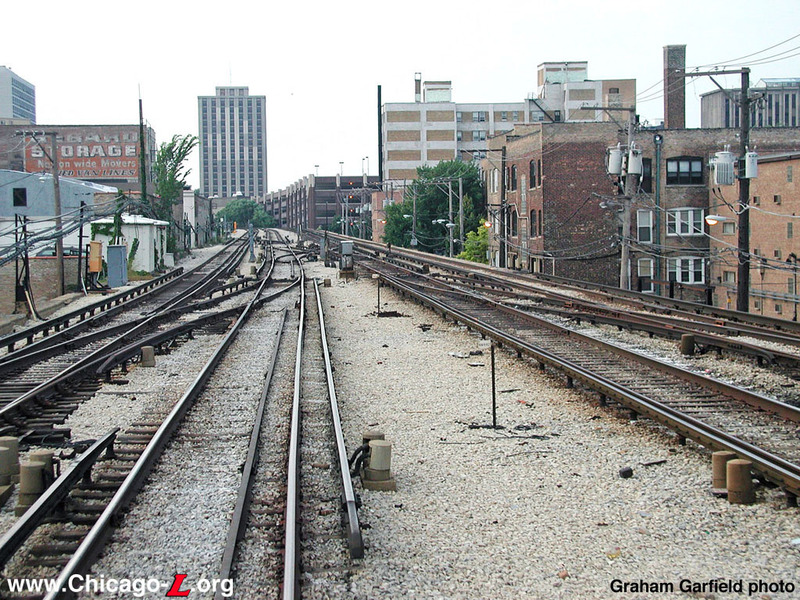 A right-hand hand-throw crossover was also installed north of Loyola from Track 3 to Track 4. 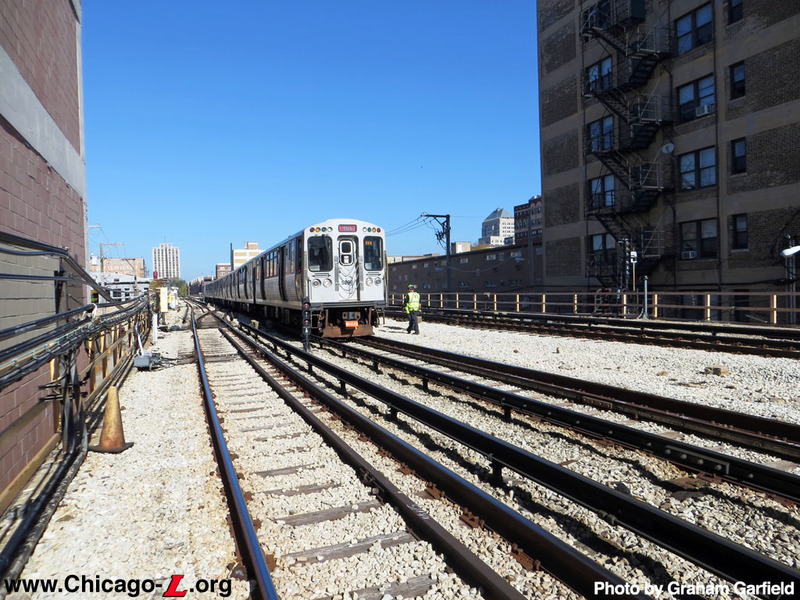 The need to route Evanston Express trains to the express tracks southbound leaving Loyola in the morning and onto the local tracks approaching Loyola northbound in the evening through the new interlocking turned out to be short-lived. 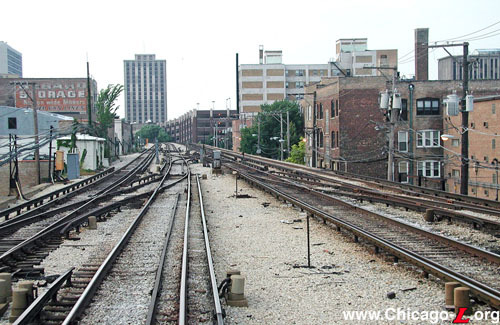 On December 20, 1976, the Evanston Express stops at Morse and Loyola were discontinued and the expresses began to use Tracks 1 and 4 at all times between Howard and Wilson. Still, the installation of the new Granville Interlocking proceeded. On August 27, 1977, with Track 2 returned to service north of Granville to Thorndale following reconstruction, a new interlocked left-hand crossover between Tracks 1 and 2 was placed in service at Granville Interlocking, south of Loyola station. On April 10, 1979, a new right-hand crossover between Tracks 1 and 2 was placed in service, replacing an older right-hand crossover at the same location and controlled by Granville Interlocking.